We get off to a late start today because of my detour to the Jamestown Verizon store. I end up buying an iPad for my hotspot connection. Don’t ask, it made sense at the time. I have to wait so long till it is my turn in the queue that I forget to find out how to actually use my hotspot with my laptop. I will deal with that later and as my son, Brian, advised me, just go for it and cancel the service later if it proves unnecessary. We finally leave Camp Chautauqua in the pouring rain at 1:30. Poor Jeff has to attach the tow dolly and the car in a downpour! 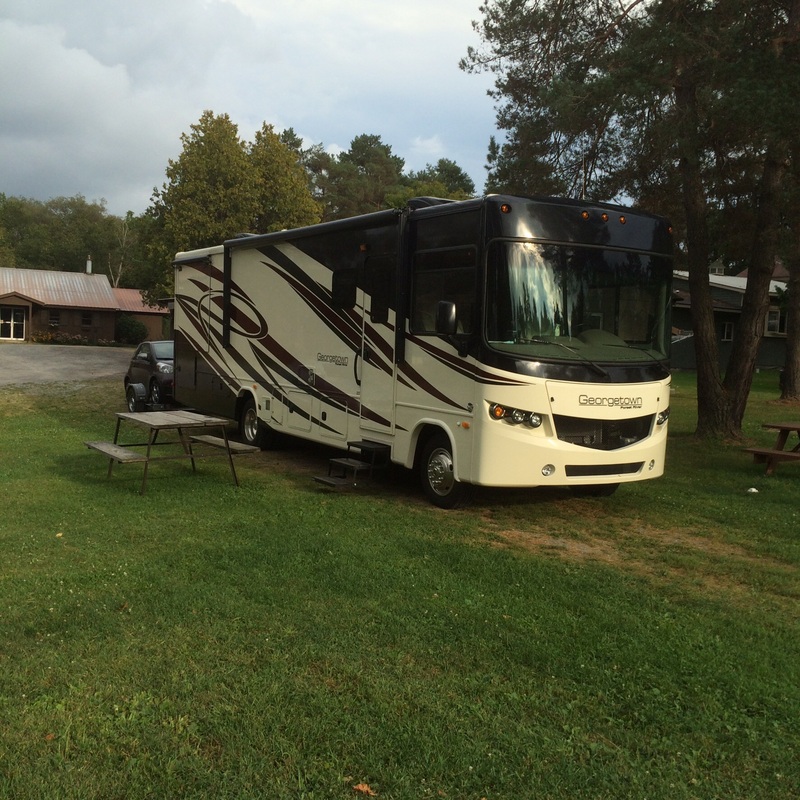 Because of our late start we opt to spend the night near Ithaca, NY instead of driving through to Watertown. 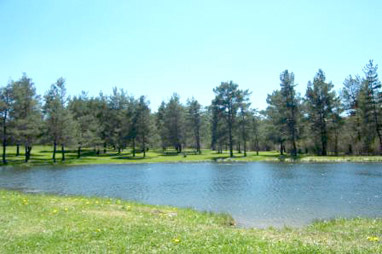 We find a place to stay at Pinecreek Campground, a beautiful and peaceful setting in the Finger Lakes region. Yes, we choose to skip the major cities and drive a more scenic route. 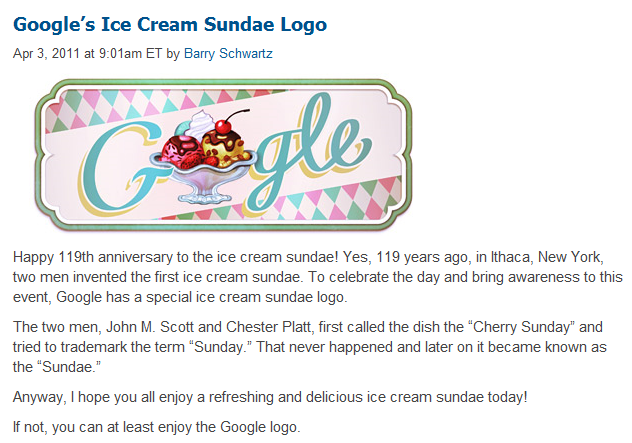 Ithaca claims to be the home of the first ice cream sundae created in 1891. There are 758 graduate-degree-holders per square mile. 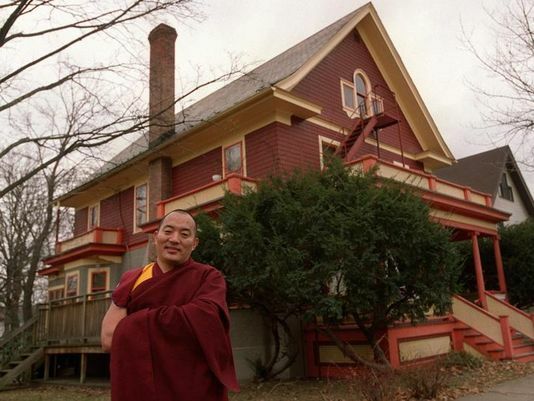 There is a Tibetan monastery here. There is a 50,000 watt solar system station. There’s a brewery that grows its own hops. There’s a deli that raises its own pork. There’s a bar that mixes cocktails based on what’s fresh from the local farmers’ market. 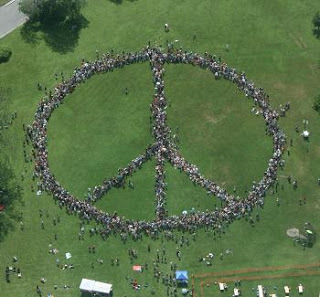 It is the site of the world’s largest human peace sign. 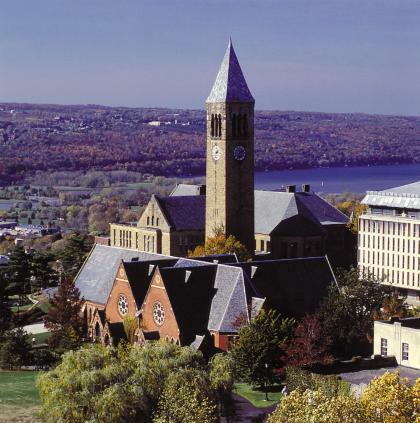 It is home to Cornell University, an Ivy League institution. 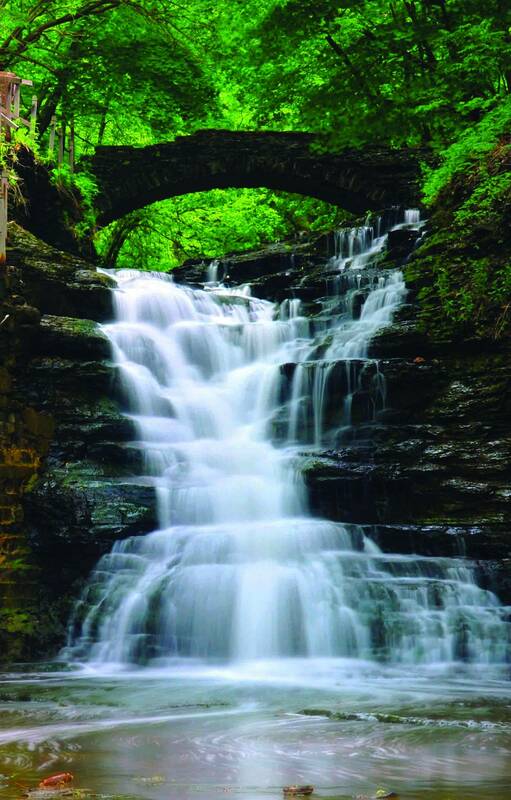 There are over 100 waterfalls within 10 miles of downtown.